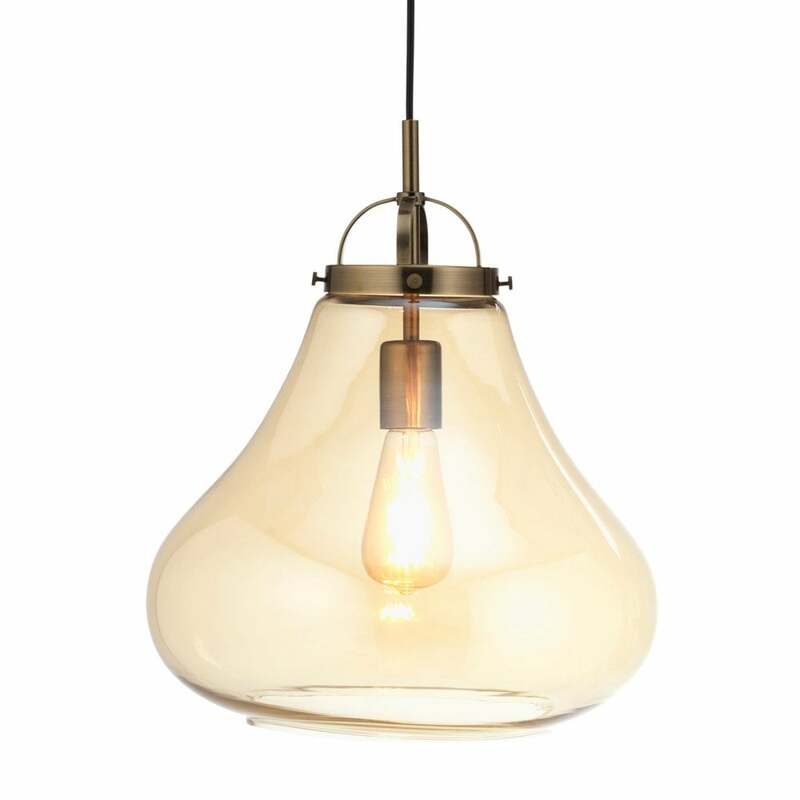 Oaks Lighting Turua single light ceiling pendant features a circular ceiling plate with black cable and antique brass lamp holder, holding a bell shaped amber glass shade. This product code is 1009/1 AB. Also available in antique chrome with clear glass shade and polished chrome with smoked glass shade which can be viewed on our website.